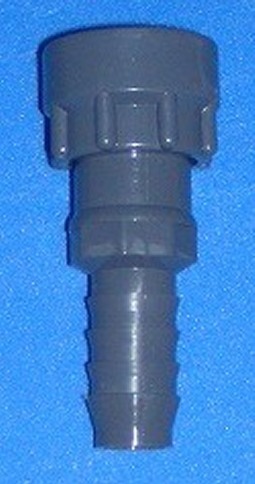 150PSI Modular Bulkhead Fitting. This adapter has a 1" QD (Quick Disconnect, FPT (female NPT) with an O-ring) that threads on to one of the module bulkhead fittings and the other side is a 3/4" hose barb for use with any 3/4" hose or tubing. Made in the U.S.A.